Check out this gently-used 2018 Mercedes-Benz E-Class we recently got in. This Mercedes-Benz includes: BURMESTER SURROUND SOUND SYSTEM AMG BODY STYLING BLACK ASH WOOD TRIM HEATED FRONT SEATS PREMIUM 1 PACKAGE WHEELS: 18 AMG 5-SPOKE *Note - For third party subscriptions or services, please contact the dealer for more information. * When you purchase a vehicle with the CARFAX Buyback Guarantee, you're getting what you paid for. This Certified 2018 Mercedes-Benz E-Class E 400 is a brilliant example of quality meets reliability. This vehicle has been thoroughly inspected and has an assured quality that you won't find with other vehicles. You appreciate the finer things in life, the vehicle you drive should not be the exception. Style, performance, sophistication is in a class of its own with this stunning Mercedes-Benz E-Class. *Above CPO special rates valid through January 31st, 2019. Special 1.99% financing rate applies to MY 15/16/17 C-Class, E-Class, CLA, GLA, S-Class (sedan); MY 15/16 GL-Class; MY 16/17 GLE, GLC and MY 17 GLS with 24-36 month term on approved credit. See dealer for complete details. ^CPO APR Payment Credit offers are valid January 3, 2019 through January 31, 2019. MY 15/16/17 C-Class, CLA, GLA First month’s payment up to $500 (whichever is less), MY 16/17 GLC First month’s payment up to $550 (whichever is less), MY 15/16/17 E-Class First month’s payment up to $650 (whichever is less), MY 16/17 GLE and MY 15/16 GL-Class First month’s payment up to $850 (whichever is less), MY 15/16/17 S-Class Sedan (excludes Maybach) and MY 17 GLS First month’s payment up to $1,225 (whichever is less). Offer only valid for retail or leased vehicles financed through Mercedes-Benz Financial Services. Subject to credit approval. Please see your local authorized Mercedes-Benz dealer for full program details. ^^Certified Pre-Owned limited warranty coverage for one (1) year from expiration date of the original 4-year/50,000-mile Mercedes-Benz new vehicle limited warranty. If the new vehicle limited warranty has expired, Certified Pre-Owned limited warranty coverage is for one (1) year from the date of purchase. Please see dealer for details. For even greater savings, take a look at our latest specials on pre-owned and CPO vehicles! Why Buy a CPO Luxury Vehicle? When choosing between certified pre-owned vs. used, the answer is simple! You’ll enjoy all the advantages of buying used—and then some. In addition to slower depreciation, a wide selection, and no advertising fees, you’ll be the proud owner of a late-model Mercedes-Benz for a price that won’t break the bank. This means you’ll get many of the latest and greatest technologies from the automaker, as well as signature luxuries. Ready to take one of our CPO vehicles for a spin? 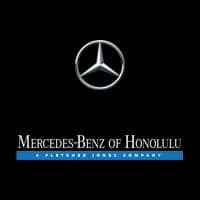 Schedule a test drive at Mercedes-Benz of Honolulu near Ewa Beach!